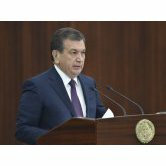 18.11.2016 | On November 17, 2016 the Delegation of the Republic of Uzbekistan took part in the extraordinary the session of the Council of Foreign Ministers of the Organization of Islamic Cooperation in Mecca. 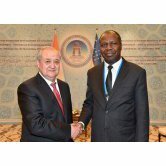 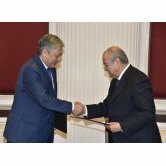 21.10.2016 | Participants of the 43rd session of the Council of Foreign Ministers of the Organization of Islamic Cooperation, that took place in Tashkent, visited Samarkand on October 19. 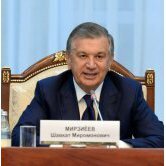 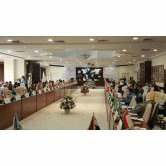 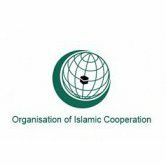 18.10.2016 | On October 18, 2016, in Tashkent, the 43rd Session of the Council of Foreign Ministers of the Organization of Islamic Cooperation is starting its work. 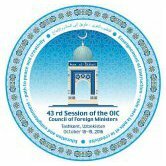 14.10.2016 | The 43rd session of the Council of foreign ministers of the Organization of Islamic Cooperation will take place in Tashkent on 18-19 October this year.